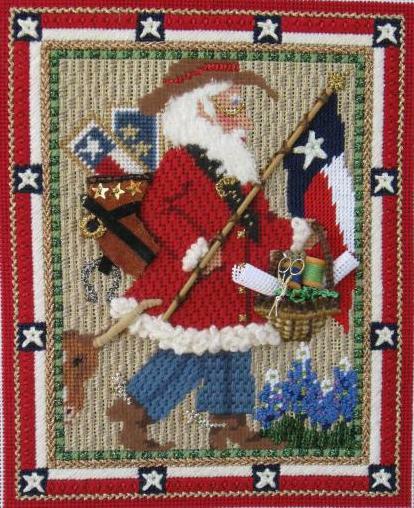 Needle House brings you Kelly Clark’s Texas Stitching Santa. Clad in boots and jeans, this traveler totes canvases, threads, and stitching supplies! The Texas Flag graces the canvas as well as our state’s lovely Bluebonnets. Full stitch guide, threads, and embellishments are also available. Call Needle House and order yours now!.